The desire for shortcuts to a fit body is nothing new—novel “secret weapons” for quick and easy body shaping are constantly brought to market. The latest craze among some celebrities (and, in turn, their fans) is waist training. Waist trainers are tight-fitting corsets worn for specific periods of time to purportedly reshape your midsection by force. And when we say “tight-fitting,” we’re not talking the slight pressure you feel from Spanx; these waist trainers can, sometimes literally, be tight enough to take your breath away. Composed of thick fabric and hard metal boning, waist trainers are placed around the midsection and cinched down using a lacing system. The idea is to wear the device repeatedly for months, after which time your body is molded into an hourglass figure. According to fans, simply wearing one can take an inch off your waist in just a few weeks. Waist training is nothing new, and corsets on the market today are basically the same as contraptions that women wore 100+ years ago, except now they come in trendy prints. The recent surge in popularity is likely connected with corseting converts such as the Kardashians and stars of Jersey Shore, who broadcast selfies of their cinched-in waists and curvy hips on Instagram. Proponents of waist training claim it helps them shrink their waistline, have better posture, and eat less—even if it does make breathing difficult. But do corsets really work? More importantly, is waist-training dangerous? Remember that your torso is more than a column of fat and muscle—it’s home to your lungs, stomach, liver, kidneys, and other essential organs. When you squeeze into a corset, these organs have to adapt, and they end up being pushed into unnatural positions where they are too crowded to function well. In the short-term, this likely just feels very uncomfortable, but long-term waist training can permanently harm organs, disfigure your body, or even fracture your ribs. Waist training can deprive your body of oxygen, reducing lung capacity by an estimated 30-60% while you’re wearing the corset. At best, this can result in low energy and discomfort, but scarier consequences—passing out, fluid buildup in the lungs, inflammation—are also a real possibility. Binding yourself in a corset for weeks on end also restricts your lymphatic system, which relies on deep breathing and normal range of motion to properly remove waste products and toxins from your body. Contrary to what celebrities say, waist training will not reduce belly fat, make you lose weight, or give you similar results to liposuction. All a waist trainer can do is squeeze your torso for a temporary change in appearance. Like many get-thin-quick schemes, there is no evidence that weight loss while waist training is due to the corset rather than calorie restriction and exercise. In fact, the “health tips” from the Waist Gang Society, a vendor of waist trainers, states that “Wearing a waist-cinching corset, exercising and eating a healthy diet can radically reduce your waist size.” Even waist-training enthusiast Jessica Alba admits that diet and exercise were necessary to achieve her enviable figure. In other words, you can skip the pain, cost, and side effects of a waist trainer and simply focus on diet and exercise. Aside from losing weight, waist training is supposed to give you a perfect hourglass figure. The problem with this claim is that if hourglass curves are not your natural body shape, you simply are not going to have an hourglass shape once the corset comes off. Even the fittest of people have diverse body types and carry their weight differently; other than through surgery, you cannot dramatically change the shape of your body when you are already at a healthy weight. If you want to trim down and improve your body contours, there is no better method than adopting a healthy diet and exercising regularly. Watch your portions and swap out sugary, processed snacks for fresh, whole foods. Add strength training to boost your metabolism and tone muscles for a tighter tummy. A dietician, personal trainer, or physician can offer guidance on how to lose weight safely and suggest an exercise plan to help you reach your goals. Looking more vibrant and feeling happier are additional rewards you’ll reap from healthy eating and regular exercise. If you’re already at a healthy weight and want to reshape your body further, consider proven-effective cosmetic surgery procedures for body contouring. You can hear about safe options that are appropriate to your goals in consultation with a board certified cosmetic surgeon in your area. 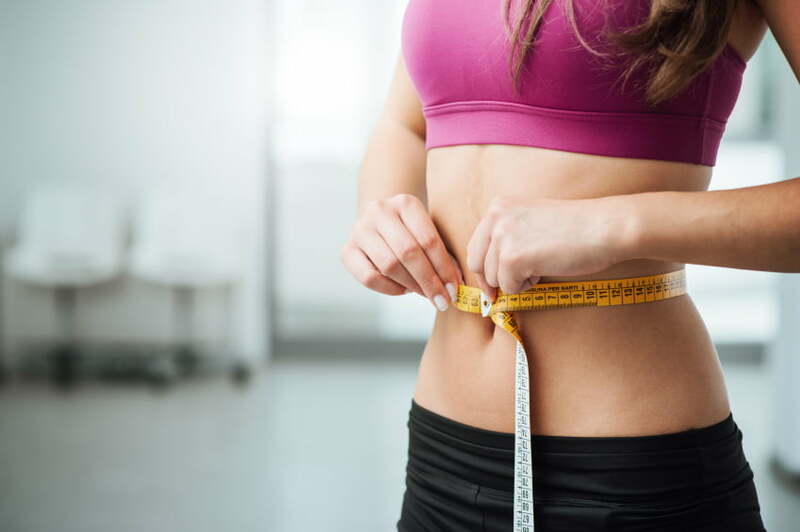 There are multiple procedures that can permanently reduce unwanted bulges, tighten loose skin, and sculpt a more aesthetically pleasing appearance if diet and exercise have not been as effective as you would like. As for that waist trainer? If you know the risks and want to keep it on hand for rare occasions (perhaps a Victorian-themed costume party), go right ahead. But if you are looking for a tighter tummy, your money will be much better spent on comfortable new workout clothes.